On 26 November 2014, the Legislative Council passed the Contracts (Rights of Third Parties) Ordinance (the “Ordinance”) which enables contracting parties to confer enforceable contractual rights on third parties and, as such, reforms the current law as governed by the doctrine of privity. Given that almost every other common law jurisdiction already has third party contractual rights legislation in place, it seems that the Ordinance is long overdue. 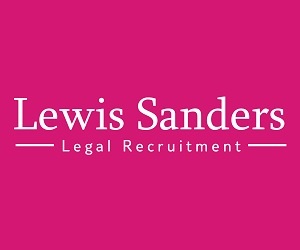 Although the Ordinance is yet to be brought into force, it is useful to now prepare for its inception by taking a closer look at its key aspects and considering how it differs from the UK’s Contracts (Rights of Third Parties) Act 1999 (the “1999 UK Act”), legislation on which the Ordinance is substantially modelled. The test of enforceability under the Ordinance has two limbs. Essentially, a third party may enforce a term of a contract where this is “expressly” provided for in the contract by the contracting parties, or where the term “purports” to confer a benefit on the third party (s.4(1)). This second (alternative) limb, however, is not satisfied if, “on a proper construction” of the contract, it is clear that the contracting parties did not intend that term to be enforceable by the third party (s.4(3)). Therefore, this allows for the contracting parties to “contract out” of the legislation by using an express term. In any event, in order to have an enforceable right at all under the Ordinance, the third party must be expressly identified in the contract either by name, as a member of a class or by answering a particular description (s.4(2)), although the third party need not be in existence at the time when the contract was formed (s.4(6)). The Ordinance sets out the remedies available to the third party as being those which would have been available to it, in an action for breach of contract, if it had been an actual party to the contract (s.5(1)). Not only does this include damages, but also expressly includes “a remedy under the rules of equity” (s.5(3)), that is, specific performance and an injunction. However, since s.5(2) states that “[a]ny law relating to the remedy applies accordingly”, it is not entirely clear how this sits with the equitable maxim that “equity will not assist a volunteer” given that the third party will not have provided any consideration. The Ordinance further makes clear that any rights or remedies which are available as part of the exceptions to the doctrine of privity are still in force and operative (s.5(4)). However, the Ordinance also enables a promisor to rely on any defence or set-off which would have been available to the promisor if the third party had been a party to the contract, or had the claim been made by the promisee and which either arises from, or in connection with, the contract which is relevant to the term in question or is made expressly available to the promisor in case of proceedings brought by the third party (s.8(2)). Furthermore, a promisor may counter-claim against the third party for a matter not arising from the contract that would have been available to the promisor if the third party had been a party to the contract (s.8(3)). In any event, the availability of such defences, set-offs and counter-claims are subject to any express term restricting their availability (s.8(4)). In addition, the Ordinance allows for the contracting parties to vary or rescind the contract unless the third party has assented to the term (and the promisor has received notice of such assent), or has relied on the term (and the promisor is aware, or could reasonably have foreseen, that the third party would rely upon the term). In either case, the contracting parties would require the third party’s consent in order to so vary or rescind (ss.6(1) and (2)). Further, the contracting parties may include an express term in the contract which provides that either of those parties may vary or rescind the contract without the third party’s consent, or the third party’s consent to vary or rescind is required in circumstances other than those stipulated (above), albeit only if the third party was aware of such a term before it assented or relied on the term conferring the benefit or if the contracting parties had taken reasonable steps to make the third party so aware (ss.6(3) and (4)). Nevertheless, where the third party’s consent is required before the contracting parties can vary or rescind the contract, either of the contracting parties can apply to the court to make an order dispensing with the need for such consent, if the other contracting party (or parties) agree to so vary or rescind and the court thinks that it is “just and practicable” to make such an order (ss.7(2) and (3)). This would be useful such as where the third party cannot be found, is mentally ill or is an infant. It also allows for the court’s discretion to prevent the contracting parties from being “locked in” to a contract and unable to escape. However, such an order may be made subject to any condition that the court thinks fit, including a requirement for the third party to be compensated (s.7(4)). Interestingly, this power of the court is not expressed as extending to an arbitral tribunal, unlike the equivalent sections in the 1999 UK Act. How is the Ordinance Different from the 1999 UK Act? Although the Ordinance is substantially the same as the 1999 UK Act, there are some notable differences. One such difference is that, where there is an exemption clause in the main contract which excludes or limits the promisor’s liability to the third party for breach of a contractual duty of care, this clause will be subject to the “reasonableness test” in s.3(1) of the Control of Exemption Clauses Ordinance (Cap.71) (“CECO”). Indeed, the wording of s.7(2) of the CECO is wide enough to possibly prevent the promisor from excluding or limiting its liability to the third party for breach of a contractual duty of care if the relevant exemption clause fails to satisfy the reasonableness test. Whereas, in the 1999 UK Act, there is a provision specifically disapplying the UK’s equivalent of s. 7(2) of the CECO, thereby preventing the third party from having the promisor’s exemption clause avoided for being “unreasonable”. There is no such equivalent provision in the Ordinance which disapplies s.7(2) of the CECO. 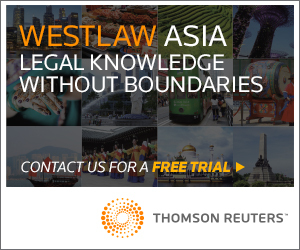 Although the Ordinance may appear more third-party friendly, it arguably creates uncertainty for the contracting parties, most particularly the promisor whose liability to the third party may ultimately not be exempted, despite itself and the promisee having freely agreed that it should. This appears to run contrary to the main driving force for privity reform: namely, giving effect to the intentions of the contracting parties. Given that the contracting parties are able to decide whether to give a third party an enforceable right at all, it is arguably only fair that they should also be able to exclude or limit those rights if they do indeed decide to confer such rights on a third party. Therefore, since s.7(2) of the CECO is not disapplied, the promisor is actually open to more potential liability than it contractually bargained for with the promisee, in contrast to the position under the 1999 UK Act. Another notable distinction with the 1999 UK Act (and, indeed, with any other third party legislation in any other common law jurisdiction) is the inclusion in the Ordinance of a provision expressly dealing with exclusive jurisdiction clauses (s.13). However, this may arguably present a problem or, at least, uncertainty in the context of exemption clauses where the promisor brings an action in tort against a third party. If the third party wants to rely on an exemption clause (which was conferred on it for its benefit), it could mean that such a third party is subject to the burden of being forced to defend itself in the jurisdiction agreed in the main contract. Since the legislation is not intended to allow burdens to be conferred on third parties, it must mean that, although the promisor is bound to sue in the stipulated jurisdiction, the third party is not bound to submit to that jurisdiction (rather, it is at its option). If the third party chooses not to submit to that jurisdiction, the court of that jurisdiction would (unless it is able to find jurisdiction on some other ground) have to stay the proceedings, thereby resulting in the promisor only having the option of bringing the proceedings in a court which does have jurisdiction over the dispute. Nevertheless, the actual position is unclear as this provision in the Ordinance does not have a tried and tested legislative equivalent in other common law jurisdictions. The final notable difference between the Ordinance and the 1999 UK Act is the inclusion in the Ordinance of a specific provision dealing with assignment (s.14). This seems relatively uncontroversial, the Law Reform Commission agreeing with the English Law Commission’s view that there was no good reason for not allowing the assignment of third party rights given that they are closely analogous to contractual rights, albeit the English Law Commission considered that no legislative provision was necessary. The provision in the Ordinance essentially allows for a third party to assign its right to enforce a term under the contract except where the contract expressly provides otherwise or where, on a proper construction of the contract, that right is not assignable (ss.14(1) and (2)). 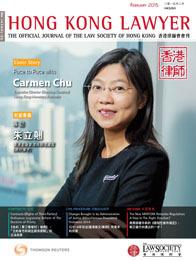 However, at the Bill stage, the provision received criticism from the Hong Kong Federation of Insurers which thought that it would be more practical for the legislation to adopt an “opt-in” approach rather than an “opt-out” approach, particularly in the case of a life insurance policy where assignment may create difficulties for the insurer in verifying the authenticity and validity of such an assignment. Nevertheless, since such an assignment is expressly provided for under the Ordinance, it raises two related questions in the context of variation and rescission. First, whether it would be the action (assent or reliance) of the third party or the assignee that would bring an end to the contracting parties’ right to vary or rescind the contract (without the consent of the third party) (ss.6(1) and (2)). Secondly, whether, where the contracting parties have expressly reserved their right to vary or rescind the contract, they should bring such an express term to the attention of the third party or the assignee (ss.6(3) and (4)). According to the Law Reform Commission, the natural and logical answer to these two questions depends on whether the contracting parties have been notified of the assignment: if they had, then the answer to both of the above questions would be the assignee. 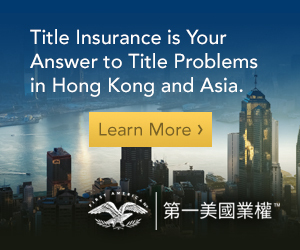 The Contracts (Rights of Third Parties) Ordinance can be seen as a welcome – if not overdue – addition to the law of contract in Hong Kong. Whilst it does not completely abolish the common law doctrine of privity – and, indeed, contracting parties are free to effectively “contract out” of the legislation – it nevertheless affords the contracting parties the ability to confer a right or benefit on a third party which is directly enforceable by that third party. Although the Ordinance is substantially the same as the 1999 UK Act, it does have some notable differences. In any event, the Ordinance appears to strike a fair balance between the interests of third party beneficiaries and the intentions of the contracting parties, leaving it now for the courts develop a solid body of case law – once the Ordinance comes into force – as to how it should work in practice.